Amazon has the Sony Xplod CDX-GT540UI Car Audio Player for the Bottom Low Price of $89.99 with no tax and free shipping. The Sony Xplod GT540UI AM/FM CD receiver brings technology together with the music in your iPod or iPhone, Walkman player, or other digital music players with USB 1-Wire and auxiliary input ports. 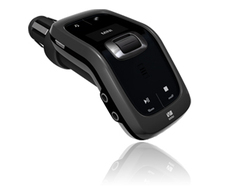 The CDX-GT540UI gives you the flexibility to play MP3 files, Satellite Radio and HD Radio ready. Passenger Control lets your passengers play DJ through your connected iPod device while you drive. The Zappin key enables users to intro tracks in 6, 9 or 30- second clips while the Quick BrowZer feature with Jump Mode gets you to the song you want by category, selecting from Genre, Artist, Album, or Playlist..
DealStopStores has the Bose In-Ear Stereo Earphone for the Bottom Low Price of $49 plus $1.00 for shipping. Bose in-ear headphones deliver quality audio you'd expect only from much larger headphones-plus a comfortable, adjustable fit. Enjoy tonally-balanced, realistic sound that's faithful to the source. And personalize your fit with the included small, medium and large silicone tips. Ideal for personal listening while exercising, relaxing or on the go. Hear your music with more range and realism than most conventional earbuds can offer. Decades of Bose research and engineering help deliver this quality audio performance-including our proprietary TriPort® acoustic headphone structure for impressive low notes from small, in-ear headphones..
newegg has the Clarion DXZ785USB In Dash CD/MP3 Player for the Bottom Low Price of $149.99 with free shipping. (MP3/WMA/AAC Support, CD Changer Controller, Sirius/XM Ready - MPN: DXZ785USB) The DXZ785USB focuses on high quality sound. It features streaming audio via an optional Bluetooth receiver, iPod direct connection and compatibility with Digital Media Streaming capability, Digital Time Alignment Control along with a 3-way crossover gives you the ability to precisely balance the speaker positions in the vehicle for the optimum listening experience..
B&H Photo has the Samsung HT-Z410T Home Theater System for the Bottom Low Price of $218.95 with free shipping. Put yourself in the action with a SAMSUNG 5-disc home theater system. Surround yourself with 1000 watts of audio power enhanced by Dolby Digital and Dolby Pro Logic decoders. Auto sound calibration makes sure you're hearing optimal sound by automatically configuring the speakers. Last but not least, the progressive-scan DVD player up-converts to 1080p HD resolution so you get an amazingly clear picture with brilliant color. Hear and feel the difference that a SAMSUNG home theater system makes in your home..
Amazon has is very cool Live Life Outloud with this speaker system for your iPod for only $40.60 with free shipping. This contemporary cube design features Reson8 speaker technology for maximum performance that is perfect for both indoor and outdoor use. Remote control included. Line-in jack for additional audio devices and microphone jack for karaoke jams.Listen to your iPodCharges docked iPod when connected to AC adaptor (included)Universal dock plays and charges most docking iPod models (inserts included)Operates on AC adaptor or 8 C batteries (not included) Reson8 speaker technology for great soundBass and Treble controlsFull function remote controlOptional extension speaker availableAV out jack to view iPod videos on TV, Line-in jack for MP3 players, etc., and Mic-in jack with level control for sing along fun20 watts output with optional speaker. Pushing a bottom switch on the Santa Claus iPod Speakers will turn on a light that changes slowly from red to green to blue without a break to give seven colorful results. Broadcasting time of 2-3 hours. This would be the perfit gift for that guy in your office that wears his Christmsa themed sweaters starting the week before Thanksgiving. The Venturi Mini is a new and unique product combining Bluetooth® Music streaming with Hands-Free calling and USB style charging. The integrated FM RDS Transmitter streams stereo audio through the in-car sound system for music playback and hands-free. The Venturi Mini requires ZERO INSTALL and simply connects to the cigarette lighter socket in the vehicle making it easily transportable. The integrated OLED display and high performance microphone enables high quality crystal clear hands-free with the received audio coming through the in car speakers.